Say hello to our founding contributors. These accomplished writers, teachers, and talented cooks know their way around a tub of yogurt, and this site wouldn't exist without their generous contributions. MAUREEN ABOOD is a professional writer and award-winning food blogger whose work has appeared in The New York Times, The Washington Post, Saveur, The Chicago Tribune, and the Huffington Post, among others. In 2011 she started her blog Rose Water & Orange Blossoms, where she shares her stories, photos, and recipes featuring Lebanese cuisine -- a cuisine always at home with its beloved thick yogurt, labneh. Her book, Rose Water & Orange Blossoms: Fresh and Classic Recipes from my Lebanese Kitchen, will be published in April 2015 by Running Press. She lives in Harbor Springs and East Lansing, Michigan. ALANA CHERNILA writes, cooks, sells fresh vegetables, teaches cheese making, and blogs at Eating From The Ground Up. Her first book, The Homemade Pantry, was published by Clarkson Potter in 2012. Her new book, The Homemade Kitchen, will be out in the Fall of 2015. She lives with her husband and daughters in western Massachusetts. NAZ DERAVIAN is the author of the food blog Bottom Of The Pot - Adventures In Cooking Persian Food And Beyond. She was born in Tehran, grew up in Rome and Vancouver and now lives in Los Angeles with her husband and 2 young children, where by the day (and sometimes night) she works as an actor. Born into a culture of food, Naz is never too far from her kitchen and her tub of homemade yogurt. TARA MATARAZA DESMOND is a writer, cookbook author and recipe developer. Her books include, Full Belly: Good Eats for a Healthy Pregnancy (Running Press). Choosing Sides: From Holidays to Every Day 130 Delicious Recipes to Make the Meal (Andrews-McMeel), and Almost Meatless: Recipes That Are Better for Your Health and the Planet, co-authored with Joy Manning (Ten Speed Press). Desmond writes about food and cooking in print and online. 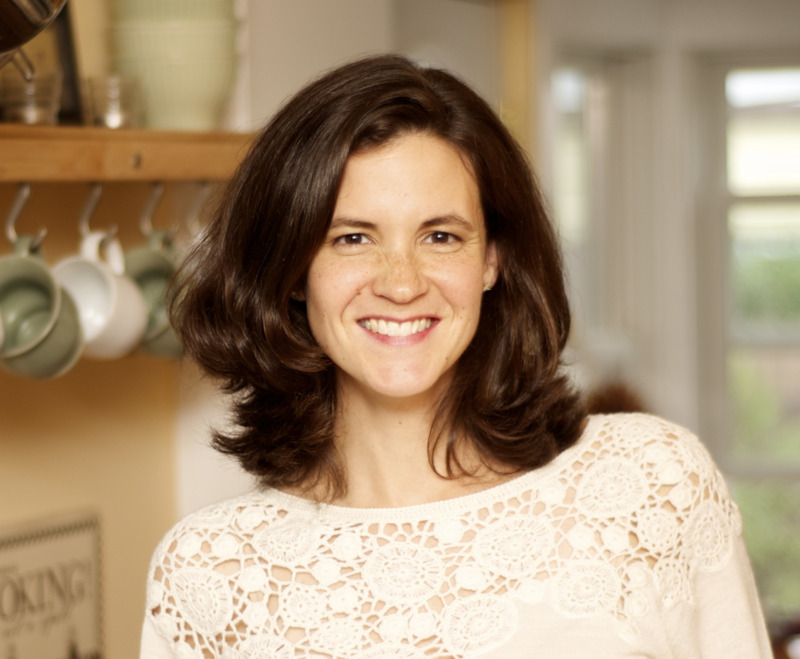 Her work has appeared in Eating Well, Parents Magazine, Parents.com, Clean Eating, Edible Philly, Serious Eats, The Kitchn, Whole Foods Market, Better Homes and Gardens Specialty Publications, and more. She blogs at Crumbs on My Keyboard and stays social @TaraMDesmond. AGLAIA KREMEZI is the author of Mediterranean Vegetarian Feasts, The Foods of the Greek Islands, and Mediterranean Hot and Spicy, among other cookbooks. She won the Julia Child award for her first book, The Foods of Greece. She blogs for The Atlantic Monthly and writes for Saveur, the BBC Good Food magazine, the Los Angeles Times, and other European and American Publications. She is an advisor at Zaytinya, Jose Andres’ acclaimed Greek and Middle Eastern restaurant, in Washington DC. Her blog, Aglaia's Table, chronicles food and life on the Greek island of Kea, where she lives with her husband, often organizing cooking vacations for lucky travelers. MARISA MCLELLAN is a food blogger, canning teacher, and cookbook author based in Center City Philadelphia. She has written for a number of publications, including Fine Cooking, Vegetarian Times, USA Today, the Food Network, Serious Eats, The Kitchn, Saveur, and Edible Philly. She is the author of Food in Jars: Preserving in Small Batches Year-Round and Preserving by the Pint: Quick Seasonal Canning for Small Spaces, and is currently working on her third cookbook. Find more of her jams, pickles, and preserves (all cooked up in her 80-square-foot kitchen) at foodinjars.com. SHEFALY RAVULA is an Austin-based cooking instructor and recipe developer specializing in regional Indian and international cuisine. Trained as a physician's assistant in oncology/gastroenterology, Shefaly was raised in Houston to parents from the Indian state of Gujarat but has family ties in multiple Indian regions, which has influenced her teachings. Shefaly has taught at the flagship Whole Foods Market Culinary Center, the Sustainable Food Center, and Patricia's Table; she also leads private cooking class parties with customized menus. For more of Shefaly's recipes and cooking videos, visit her website, Shef's Kitchen.